The discoveries of Copernicus and Galileo made divinity seem farther away. The realization of Gaia brings it home again. We have yet to adjust our mindset and emotions to what the ecological and whole Earth sciences are telling us. Just as the telescope put the Earth into its proper place in the cosmos, the nature of Earth itself has been revealed by two other kinds of magnifiers, now turned inward: the microscope and satellite & spacecraft photography. The telescope showed that Earth was not the center of the universe, that the universe is much vaster and more complex than previously thought. The combination of microscope and photography from space have shown that people are not the center of life on Earth, that life is much vaster both below us and above us, and more complex ecologically and chemically than previously thought. With the telescope, God seemed to recede from view, more distant in the vaster universe. With the microscope and satellites, the Earth has become closer, more fully viewed, and thus greater in spiritual importance. Divinity has been brought back on a scale where we can perhaps understand it better. 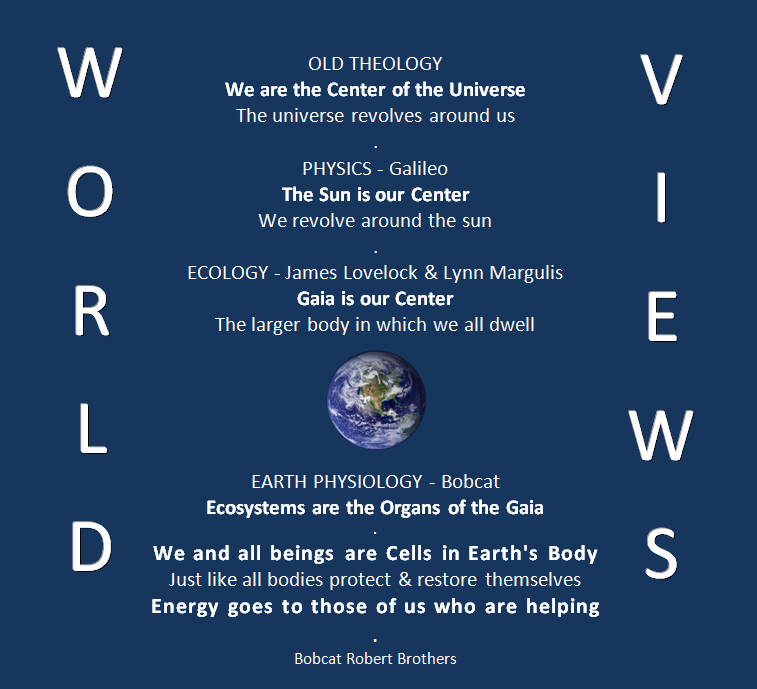 Many have predicted that there would be a major revolution in worldview when we could see the Earth as a whole. But after 40 years, it still hasn’t happened. Time to turn up the awareness!